Class is open to AB School students and dancers in levels IV and V. Non-ABS students are welcome, but must be an intermediate or advanced level. This class will be in place of the 4:45p.m. Ballet IV and 6 :00p.m. Ballet V.
Luc Louis de Lairesse studied in Brussels, Monte Carlo, Paris (M.Besobrasova, A. Howard, D.Franck, R.Franchetti) and performed with the Royal Opera, De Munt/La Monnaie, Bejart Ballet, the Paris Opera, Balletti Carla Fracci, Ballets Monte-Carlo, Geneva Ballet and as a First Soloist with Ballet du Grand Theatre de Nancy, Hannover State Opera Ballet, Festival Aix, Ballet Theatre Français both in the classical repertoire and in many creations and revivals (Lazzini, G.Caciuleanu, P.Lacotte, A.Howard R. Hightower, J.Charat, Bejart, Balanchine, D.Bagouet, J.Taras, etc...). In his first years, strongly influenced by Stanley Williams and Alan Howard, Luc was considered by his Paris Opera teacher, Daniel Franck to be a natural teacher. As such he taught his first classes in 1975 substituting for Mr. Franck’s Academy while still performing. As of 1978, he became a guest with leading ballet companies worldwide as for William Forsythe in Frankfurt, John Neumeier in Hamburg, Maurice Bejart’s Company, upon Lucia Chase’s invitation for American Ballet Theatre Rpertory company and later ABT; at Mary Day’s Washington Ballet, for Gert Reinholm Deutche Oper Berlin, for the Joffrey, upon Robert Lindgren’s request for three tears at NCDT/ NCSA, at the National Ballet of Canada; ENB, Sadler’s Welch Royal Ballet and Rambert in London, Maria de Avila at the Ballet Nacional in Madrid, Yvan Nagy in Ballet Municipal Santiago (Chile), Munich, Paris, Buenos Aires, Ballet Nacional de Cuba-La Havana, AterBalletto, Boston Ballet, the Harkness Dance Theatre & School, Chamber Ballet USA, PBT, Alvin Ailey School, Universities Miami, Milwaukee, N-S Carolina, Royal Ballet of Flanders & Wallonie as well as private sessions and coaching for N. Makarova, F. Bujones, J. Carreno, E. Terabust, C. Arbo, Arantxa Arguelles, J. Arozarena, Lorena Feijo, Ana Lobe, M-T Del Real, Y. Morishita, S. Jaffe, A.Goudonov, P. Savoye, Anne Marie De Angelo, Loipa Araujo, David Nixon, Yoko Ichino, M-T Del Real, etc. The co-founder director of NYC based youth company “Ballettoday” his record includes many choreographies (incl. first prizes: Lausanne, Moscow, Jackson, Paris), and coordinating the ballet for the Riverside Dance Festival in New York for 6 years. As a guest ballet master he also developed a profound stylistic knowledge of the classical repertoire. With respect to the creators needs, he rehearsed works by G. Balanchine, W. Forsyth, G.Tetley, L. Childs, M. Petipa, A.Bournonville, amongst others. He founded Dance Development Fund, Natalia Makarova, Hon. President) in a yearly collaboration with ballet legends Irina Kolpakova and Vladilen Semenov highlighting in Belgium, Italy, Spain and the USA, the DDF (and later Ballettoday) to promote dance and ballet in his country and abroad. For his special attention to the needs of the dancer today, Luc’s alternative way of teaching has made him a popular guest with both classical and contemporary dance companies and schools. He remains a most respected guest teacher in demand and has been a welcome guest with Bejart Ballet Lausanne, IBC. Barcelona, RAMBERT Dance Co & School, ENB school, Compania Nac. De Danza, Madrid, Royal Conservatoire Mariemma Madrid, etc.). Especially concentrating on the development of the dancers through a unique Injury Prevention Program (MBAC) and preparing them for the present day demanding variety of choreography, he founded over one hundred courses and “Healing the dancer” events and the successful Menorca Summer Course amongst others. He has also been a juror in several IBC competitions such as the IBC. Korea, and Barcelona. Luc is fluent in six languages; loves humans, nature, good humor and a fun & healthy life. Valery Lantratov has had a distinguished career as a dancer in the companies of Vladimir Vasiliev, Maya Plitsetskaya and Ekaterina Maximova and international tours with Rudolf Nureyev. Most recently he has made international headlines for his role as Czar Nicholas II in a production of the new ballet Rasputin, with Farouk Ruzimatov of the Marinsky Theater (Kirov) and for successful international tours of Don Quixote and original choreography for the annual festival for the goddess Aphrodite in Cypruss. A graduate of the Moscow Academic Choreographic College, Lantratov was selected as a first soloist with the Moscow Stanislavski Ballet. With the theater he danced principal roles in such ballets as Don Quixote, Copellia and Romeo and Juliet. He has received accolades in the Russian and international press for his strong technique, personality and expressiveness. In 1993, Lantratov began working for the Kremlin Ballet. This same year, he formed the Russian National Ballet Foundation. He has toured as a solo guest artist in such countries as Japan, Germany, Italy, Greece, France, Portugal, Spain and the United States. The Russian National Ballet Foundation has toured in Europe, Asia, The Middle East and the United States. In 1997, Russian president Boris Yeltsin named Valery Lantratov “ People’s Artist of Russia,” the Russian Federation’s highest artistic honor. Class is open to AB School students in levels IV and V. Non-ABS students are welcome, but must be an intermediate or advanced level. 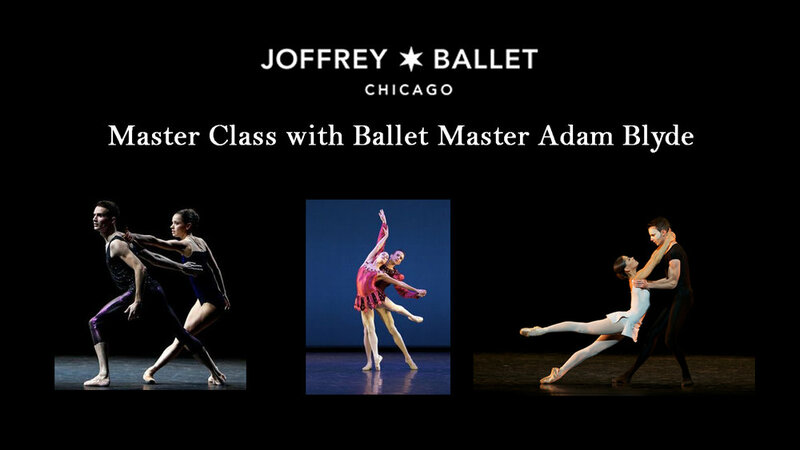 This class will be in place of 10:30am Ballet V.
Clinton Luckett was a dancer with American Ballet Theatre for 10 years, from 1992-2002. His professional career spanned 15 years and began at the National Ballet of Canada. As a dancer he created roles in original works by Glen Tetley, William Forsythe, John Neumeier and James Kudelka among others and appeared in featured roles in most of the full-length ballets in the classical repertoire. Born in Louisville, Kentucky, he began his dance training there, and after two years of study at the National Ballet School in Toronto, joined the National Ballet of Canada in 1987. 1n 1992, Luckett came to American Ballet Theatre where he was featured in the works of Frederick Ashton, George Balanchine, Agnes De Mille, Martha Graham, Jiří Kylián, Lar Lubovitch, Kenneth MacMillan, Mark Morris and Antony Tudor. He appeared on television in the PBS/Dance in America programs ABT Now and Le Corsaire, and in the CBC/Rombus Media productions of Glen Tetley’s Alice and La Ronde. In 2002, Luckett became the Artistic Associate for the Education and Training Department at ABT. In that position he worked closely with the ABT Studio Company, was a regular faculty member at the ABT New York Summer Intensives, and also served as a Company Teacher at ABT. In September 2006, he assumed the position of Ballet Master with the artistic staff of ABT. Luckett has been a guest teacher for the Alvin Ailey American Dance Theater and taught ballet at New York University. Luckett performs the roles of the Dacha Dweller in The Bright Stream, a Photo Journalist in Cinderella, the Duke in Lady of the Camellias, Escalus and Friar Laurence in Romeo and Juliet, Galifron in Alexei Ratmansky’s The Sleeping Beauty, Catalabutte in The Sleeping Beauty and Gonzalo in The Tempest. Luckett was appointed Assistant Artistic Director in August 2016. Join Anaheim Ballet School for a Master Class with Larissa Saveliev, former dancer with the Bolshoi Ballet and Co-Founder of Youth America Grand Prix! Class is open to Intermediate/Advanced level dancers – ABS Levels IV+. (This class in in place of Ballet IV, and no Ballet V will be held). Class is open to Intermediate/Advanced level dancers – ABS Levels IV+. (This class in in place of Ballet V). Born in Brooklyn, New York, Nancy Raffa received her early training with Madame Gabriella Darvash. In 1980, she became the youngest and first American female to win the Gold Medal at the Prix de Lausanne competition in Switzerland. The same year, Raffa joined Makarova and Company on Broadway and, at age 16, became a member of the corps de ballet of American Ballet Theatre. She joined Ballet de Santiago in 1985 as a principal dancer and was also a principal dancer at Ballet National Française de Nancy. In 1992, she became a principal dancer with Miami City Ballet. Raffa was appointed ABT Ballet Mistress in June 2007. Class is open to Intermediate/Advanced level dancers (ABS Levels 4 and 5). (The 4:45 p.m. Ballet 4 class will not take place). Class is open to Intermediate/Advanced level dancers (Ages 12+). Master Class fee of $35. This class will be in place of 10:30 am Ballet 5. Call (714) 520-0904 or email school@anaheimballet.org with any questions. Luc Louis de Lairesse, Belgian-Flemish born, has more than four decades in dance, (as a first soloist, ballet master, choreographer with leading international companies and schools American Ballet Theatre, Bejart, most national opera companies and their schools in Europe, the USA, South America, Japan, Korea, etc.) I wish to pass on ancient wisdom and knowledge (revisited) for the future generations to develop into decent human beings using art for the better of the society and all involved. Class is open to Intermediate/Advanced level dancers (ABS Levels 4+). (The 6 p.m. Ballet 5 class will not take place).